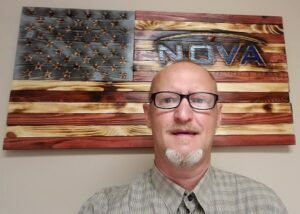 NOVA’s Panama City Beach, Florida office welcomes Andre Kniazeff, PE as a Geotechnical Service Line Leader. Andre is a graduate of the University of Central Florida and is a registered Professional Engineer in Florida. He has more than 6 years of experience providing geotechnical engineering and environmental consulting services, including challenging Karstic geologic conditions, deep foundation design, pavement section design, national retail chains, schools and Phase I Environmental Site Assessments. In this new role, he will manage the day-to-day geotechnical operations for the Panama City MSA including a wide variety of commercial, low to mid-rise hotel, military and municipal projects. Andre’s duties will also include supervising and mentoring a geotechnical staff consisting of three Engineer Interns.